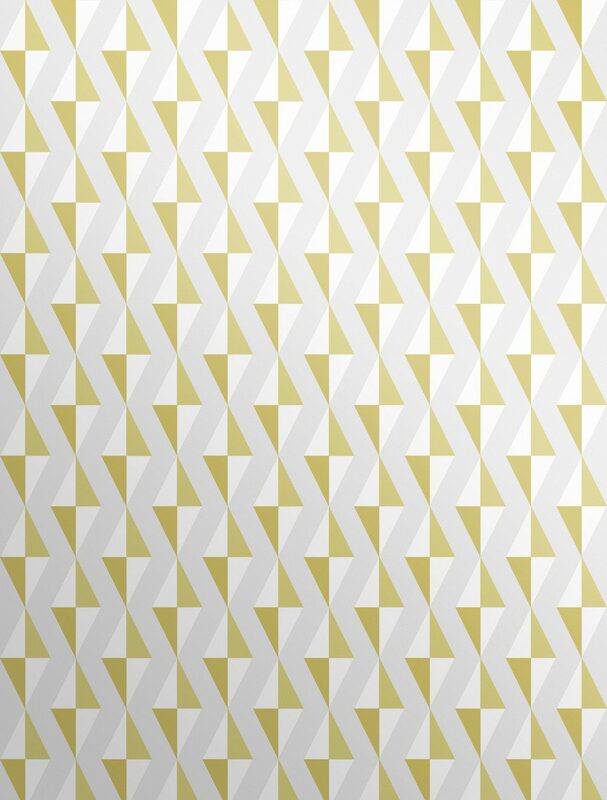 The Diamonds Mustard Wallpaper is a fresh and contemporary way to style your home. If you want to create a subtle and chic hallway, dining room or living room. Or if you want to give any other room in your house an elegant designer transformation. Use an exquisitely simple geometric wallpaper to uplift the room by adding beauty to the walls in the perfect colour. Style this wallpaper with unique pieces of furniture, lots of soft textures in pastel shades and one or two houseplants. A versatile wallcovering, thanks to the beautiful colours and simple design. Choose one or two complimenting colours, like grey and green. Then simply use the geometric wallpaper and your colour palette to make informed interior purchases to style and accessorise. This geometric design would look stunning if incorporated into a minimalist modern interior, with marble surfaces, and chrome accessories. Or it could make a wonderful luxury children’s room decor, for a clean and polished ‘grown-up’ look.